Cloud technology will become increasingly important to gaming. Since the two fields are tied, the way that cloud develops will inevitably impact gaming to a massive degree. Augmented reality (AR) and virtual reality (VR) have been implemented in games increasingly, and these techniques at creating a more immersive experience mean that the amount of data involved is skyrocketing. Incredibly, projections suggest that the amount of entertainment and media content that will be captured and generated through 2021 is 230 exabytes, with games representing a large chunk of that total. You can see how gaming would be improved by stronger infrastructure performance simply by looking at the average download size of a game. That amount has been increasing substantially, as indicated by a 2015 report in PC Gamer that was looking at the topic out of concern that some games are inaccessible to many users with slower connections. By 2015, it had become standard for a game to be tens of gigabytes in size. An Internet speed of 30 Mbps or similar would not be capable of downloading the larger games for hours. Anyone with caps of 50 Gigabytes per month or similar would potentially face overage fees. The study demonstrated that the average download size for games from the more prominent publishers (such as EA, Ubisoft, and Activision) had risen five-fold to ten-fold. For instance, the Assassin’s Creed version released in 2008 was a little more than 9 gigabytes, while the version released in 2014 was just shy of 40 gigabytes. The increase in the size of games began in 2011; following that point, RAGE was known for having a download of almost 20 gigabytes, and Call of Duty was greater than 15GB. Toward the end of 2013, there was a really steep upward climb – aligned with the Xbox One and PS4 releases. Following those launches, most of the big-name games that have been published have exceeded 20 gigabytes, and there has been a large number that is close to 50GB. The Grand Theft Auto V PC version is almost 60 gigabytes. A 2017 analysis from PCWorld revealed that the growing size of game downloads was a continuing problem. In the piece, Hayden Dingman noted that there were some exceptionally large releases during 2016. The largest example is two games that came in a single package: Call of Duty: Infinite Warfare and Modern Warfare Remastered. The PCWorld report, rather than looking at download size, looked at the amount of space necessary on the hard drive for installation. These two games needed a total of 120 gigabytes on the hard drive for installation! Infinite Warfare alone required 75 gigabytes. As a way of explaining how large 75 gigabytes is, Dingman explained that back in the DVD era, the game would have required about 10 standard discs in order to store it. Games have greater needs in terms of storage and processing because they have become more complex, incorporating technologies such as virtual reality (VR) and augmented reality (AR). This expansion in virtual reality is going to mean that more storage in data centers is needed. The rise in data need is, again, because virtual reality is resource-intensive. Virtual reality is typically 10 to 20 times the size of a standard high-definition file, noted Andy Mills of Enmotus. Augmented reality, like virtual reality, will place incredible stress on data centers. One of the primary reasons that people criticize VR is that the performance can start to suffer when the scale becomes huge. Augmented reality suffers from this same issue. As Nick Ismail explained, it goes beyond simply having fast servers to actually being able to analyze and make sense of the data flowing through a gaming publisher’s system. In order to achieve all of this, it is necessary to implement servers that offer high performance. Cloud makes sense in this scenario because it offers affordable processing power, but also an incredible ability to immediately scale so that the game is always able to handle new users. There is essentially no ceiling. You can use cloud hosting for the front end or back end of gaming. Any game can be hosted on a cloud server. The other way cloud is used in these settings, though, is to allow users processing power and storage to play their games, as a service provided to that individual. Through gaming-as-a-service (GaaS), cloud servers are being used by many people in place of high-end gaming desktops. Gaming systems are expensive to purchase as an individual because they need so many resources to operate correctly. Spending thousands on a system that is meant for use as a hobby is silly to many people, so cloud servers have become more prevalent. One instance of cloud gaming is Sony PlayStation Now. This subscription service makes it possible to stream and play from a large catalog of PS3 games, either on Windows or the PS4. Using high-performance and secure cloud hosting – sometimes verifiable through a speed test – for this purpose makes it possible to get the price much more reasonable for people to access all the previously available games, while also allowing users with speedier web connections to start playing the titles right away rather than waiting for them to download. Using the cloud to live stream is undoubtedly a direction that gaming will continue to go. As cloud technology continues to improve, both in terms of storage and processing capability, this possibility will become more pragmatic. With virtual reality and augmented reality being integrated into games today, though, the scope of the data resources needed has expanded significantly – meaning that cloud tech must keep pace. There have been efforts at cloud streaming that have not succeeded, leading many to assume that the idea is essentially problematic. One of the key debacles that have made people feel unsure about cloud streaming is OnLive. OnLive closed its doors in 2015 after racking up a huge amount of debt. While high-profile bankruptcies might discourage startups and investment in the industry, there are organizations that are committed to opening up the market since the potential is so huge and since the technology seems to be such a strong fit for the needs of the gaming industry and community. With these services, a gamer can access and immediately play whatever games they want on devices with Windows, Mac, Linux, or Android operating systems. You essentially are using a server for your own front-end purposes of having a desktop on which to use games, as opposed to the server being stored and processed from cloud servers behind the scenes. It makes the equipment of the user essentially a non-factor since they are getting access to the equipment of the cloud host’s data center. 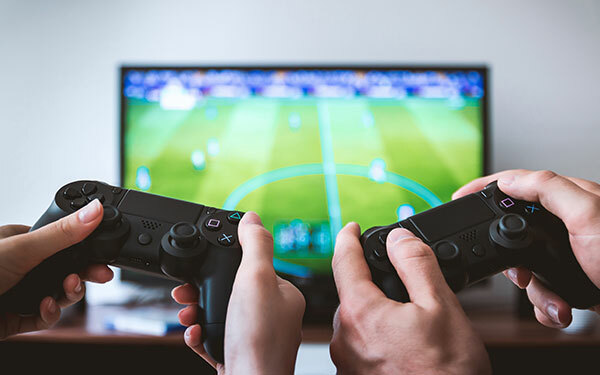 When you implement the cloud as a solution for gaming, your choice of a cloud service provider is critical to your success. You want a data center partner that not only has an incredible grasp on the technology but that is also able to deliver the performance that will keep your users playing, free of latency so that augmented and virtual reality can be perceived just like the real thing.